Laicee is an Aesthetic Advisor at Premier Spa & Laser Center. A native Delawarean, Laicee has graduated from Middletown High School. 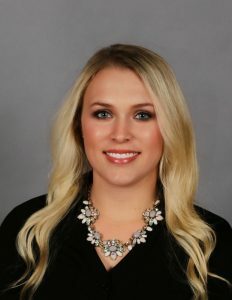 She received her associate’s degree in Marketing from Delaware Technical Community College and a Bachelor’s degree in Sports Management from Wilmington University. She joined Premier in 2013 as a receptionist in our general dermatology and cosmetic surgery offices where she gained expert knowledge of the practice. During her time at Premier, her interest in the aesthetic area grew. She researched and tried most of the skin care products and services offered by the practice so she could educate potential clients when they had questions. Her drive, dedication, passion and customer service lead her to the position of an Aesthetic Advisor in our new spa center. Laicee enjoys summers at the Delaware Beaches, traveling, and spending time with friends and family.